Hey everyone! I’m Pearl! 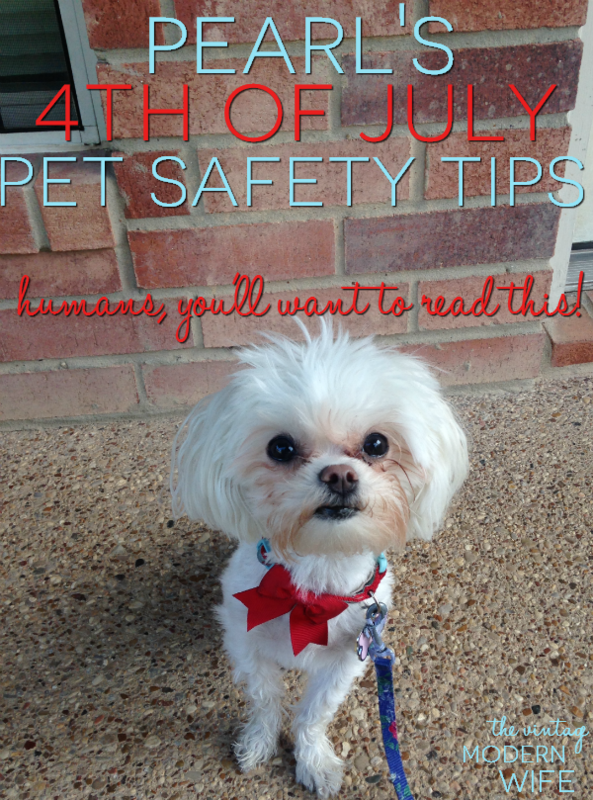 I’ve hijacked my mommy’s blog today to bring you my 4th of July Pet Safety Tips. 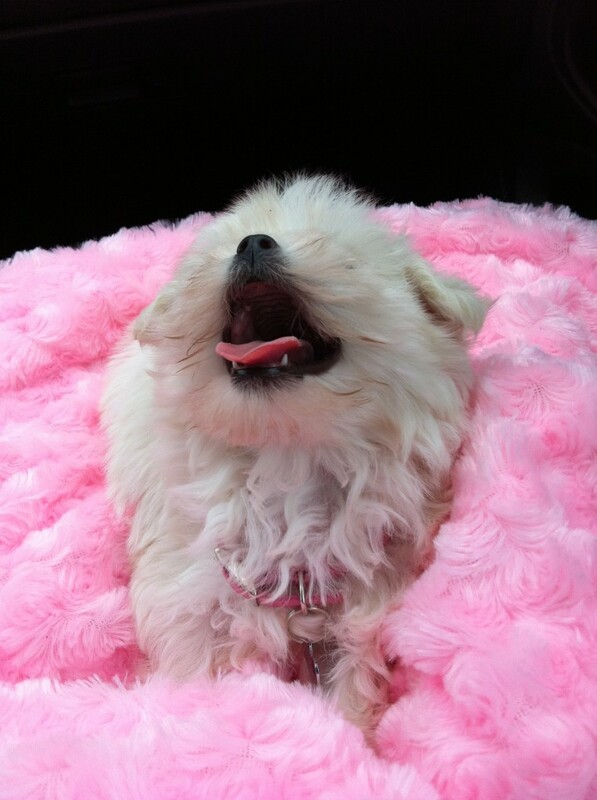 If you are anything like my mommy, you love your pets a lot and want them safe. 4th of July can be scary for pets like me, but if you humans follow my 4th of July Pet Safety Tips your pets will be a-ok! 1. 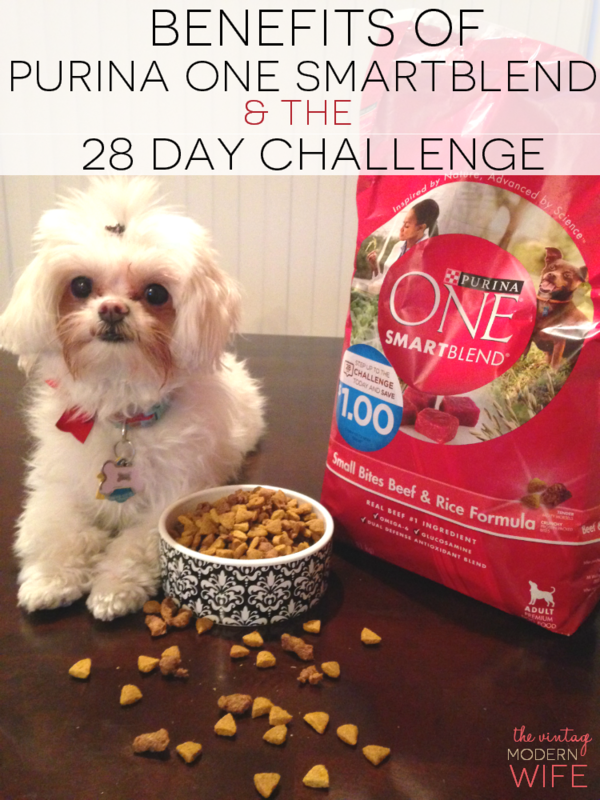 Keep your pet tags updated and take a recent picture. Mommy just recently updated my necklace because we just moved, but if your tags haven’t been updated in a while, get it done today. My friends and I get scared from fireworks, and my outdoor only friends tend to run away on nights like tonight. Keep their tags updated, write down your pet’s microchip number (in case you don’t know where you put it), and take a picture of your pet today in case your pet gets scared and runs off. 2. Don’t give us people food. I know I beg my mommy for a bite of hamburger every now and then, but mommy knows it’s not good for my stomach. If you’re having a BBQ, ask your friends not to “accidentally” give me food. I love people food, but I don’t love the way it affects me afterward. Also, make sure you keep lighter fluid and matches away from our reach when you BBQ. My friends and I love eating things we’re not supposed to, and matches or fluid can make me sick too. Once you use them, please put them away in a safe area so we don’t accidentally eat them. 3. Don’t spray us with bug spray. I hate flies and mosquitoes just like you do. They drive me crazy! I’m not allowed to have bug spray for humans though because it can make pets drool, vomit, have diarrhea, and even give me neurological problems. You can always use one for my canine friends, or put on a thin 4th of July shirt on us. I’m not going to lie- I love when mommy dresses me up like a human. 4. Leave your beer where we can’t reach. I can’t help it- I get thirsty sometimes- especially when I’ve been outside partying with mommy and her friends. BUT, please leave your beer, wine, and mixed drinks where my friends and I can’t reach. It can make us feel funny, go into a coma, or worse- go into respiratory failure. If your pet friend is big, make sure you put your drink up extra high! 5. Don’t use fireworks around us. I don’t understand why humans think these scary fireworks are fun, but I’m not one to be a party pooper (unless there’s a nice patch of grass close by! Har har.) If you know it’s time to start shooting fireworks, please put my friends inside. I’m extra curious (or so mommy says), and I like playing with things I’m not supposed to. If your pets are anything like me, they might get too close to fireworks and get burned or could eat them. All in all- when in doubt, leave us at home. Loud noises also scare my friends and I because we have sensitive ears, so even though you might want to take me to the fireworks show with your human friends, it’s best to leave us inside at home. My mommy always has me on a leash or in her arms, but I’m a wiggle worm. Sometimes mommy calls me Houdini because I can get out of the stickiest of situations. Trust me, I’ll be a Houdini if I hear those loud fireworks, so please just leave my friends and I at home if you can. If you feel extra nice, leave the tv on or some calming music so we have something to listen to while you’re gone. 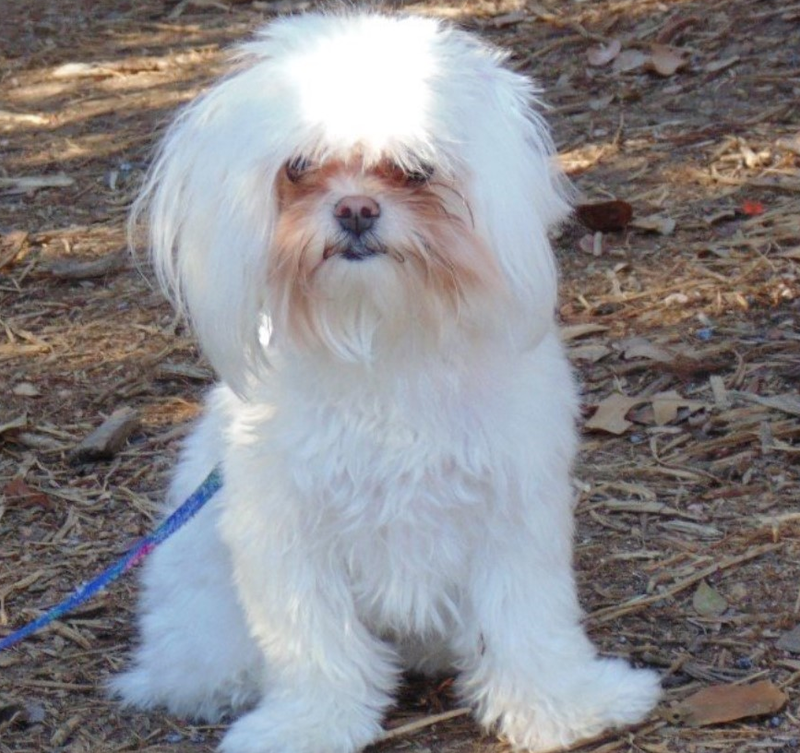 2) Put up flyers with a recent photo and detailed description of your missing pet. 3) Craigslist offers free lost and found pet postings. Well there you have it my friends- my 4th of July Pet Safety Tips! I hope you and your pet friends have a safe and happy 4th of July! If you have any more tips that you love to use, leave them in the comments- my mommy loves those!